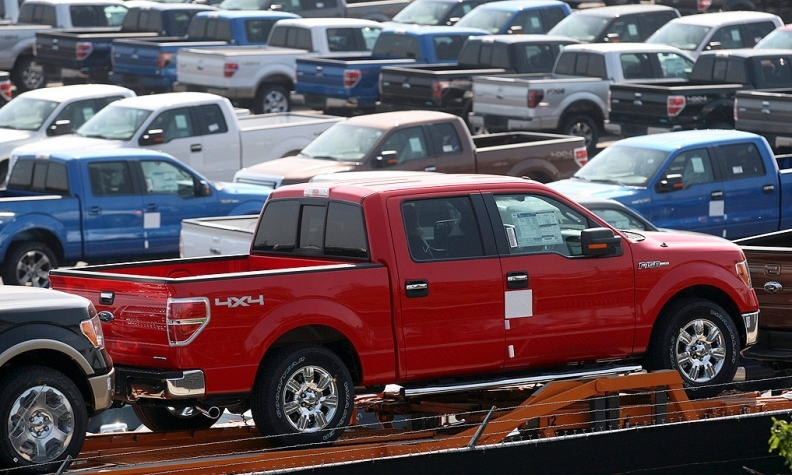 Higher U.S. housing sales and record energy output are fueling demand for trucks, with Ford's F-Series deliveries surging 26 percent to 198,643 during the second quarter. Pickup sales helped boost Ford's automotive revenue in the period to $36 billion, topping the $35.1 billion average estimate of 11 analysts. Ford Motor Co. posted better-than-expected profits for the second quarter and hiked its earnings and sales forecasts for 2013. Robust U.S. pickup truck demand and growing sales in China offset ongoing -- but narrowing - financial losses in Europe. Ford earned $1.23 billion in the April-June period, up 19 percent from a year ago. Revenue jumped 14 percent to $38.1 billion, easily topping analysts' projections of $34.9 billion. A look at what analysts and experts have to say about Ford's second-quarter results. "On the whole, we expect the solid international results to attract some longer-term investors into Ford, who may like the North America story, but had been concerned with international headwinds for some time. Indeed, the results provide some comfort that breakeven in Europe is achievable, and South America losses will be contained. We note, however, that one offset on the quarter for the "uber-bulls" is the North America margin, which came in at 10.4%, below our estimate of 10.9%, and likely below the view of many for a 12%+ result. Although a 10.4% margin is indeed very impressive, and Ford's North America business continues to fire on all cylinders, this likely goes contrary to the hopes of some investors who were looking for Ford to capitalize on its operating leverage in a thriving industry. It is becoming increasingly clear that Ford will not allow its North American margins to run higher, instead preferring to reinvest in the long-term success of the business." "They still have the Europe economic headwinds in their face but maybe it's not blowing quite so hard." "There is a bit of a turning point here in the sense that it's the first time we've had heard good news incrementally out of Ford in Europe." "The general market shift from small, economy sedans to midsize sedans and compact SUVs has benefited Ford. The timing of the all-new Escape and Fusion couldn't have been better, as those are two very strong models in two robust and growing segments. But even the Ford F-150, now one of the oldest trucks on the market, is selling well because of the recent growth in truck sales combined with Ford's longstanding loyalty in that segment. This is particularly impressive given the newer competition coming from Ram and Silverado. Truck sales should still be growing when the all-new 2015 F-150 hits showrooms next year, which should allow Ford to extend its momentum well into calendar 2015 and beyond." 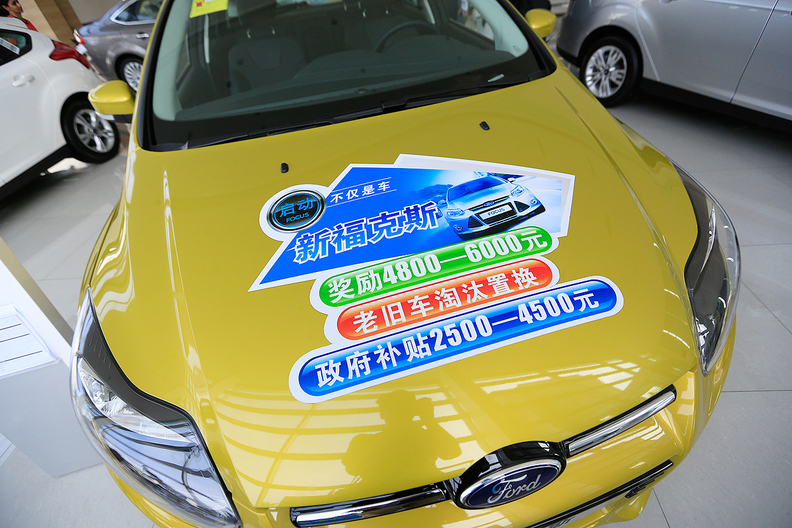 Morgan Stanley analyst Adam Jonas described Asia as the "star" of the quarter for Ford. The company now expects to be profitable in the region this year instead of its previous forecast of breakeven. "The surprise ... in the quarter was really the international operations. Everything came in a little bit better than what you've been looking for. But collectively, that adds up to something." "It has been a long time since we have seen a 'beat and raise' from Ford. Performance was at or above expectations in all regions and, in our view, presents a path to $2.00 per share in earnings (or higher) in an improving industry environment. Net automotive cash ended the second quarter at $9.9 billion, unchanged from the end of 2012, despite a $1.0 billion discretionary pension contribution and increased capital spending. We expect the company to generate more than $10 billion of surplus operating cash in 2013 and 2014, providing flexibility to complete restructuring actions in Europe, de-risk its pension and increase cash returns to shareholders." "Ford fired on all cylinders in Q2 with a remarkable 15% sales growth and nearly a full percentage point market share gain. Ford's average transaction prices increased by nearly $1,400 for the same period, impressive considering incentives are up nearly $500/unit, larger than the industry average." "The car lineup is gaining a foothold, increasing volume and it's competitive. It's positioning them to expand their customer base, create loyalty for the badge, retain buyers and then move them up into higher price points." -- Kevin Tynan, an auto analyst for Bloomberg Industries in Skillman, N.J.